Here at Nurse’s Touch Services, our goal is to be your number one speed dial entry. When you need cleaning, just touch that speed dial (or call us at 251-220-1118) and we’re there. We offer all the cleaning services a reasonable person would need. Even if you don’t see a cleaning service offered, why not give us a call? We will probably be very happy to take care of it for you. I’ve yet to have someone call me asking about a cleaning service that we couldn’t do. Wouldn’t it be cool if you were the first? Challenge us, Mobile, AL! As you know, our bread and butter is carpet cleaning. I have many years of experience cleaning carpets and we use the latest and greatest truck mounted equipment. We can make your carpets shine like new. Check out our before and after photos if you don’t believe me. Still don’t believe me? Hey, I understand. You don’t know me from Adam. Here’s a review from one of our carpet cleaning customers. Give us a call. We’re going to blow you away with how clean your carpets are when we’re finished with them. Ed and Lesleigh with Nurses Touch cleaned my house and my carpet, like no other has done before. I honestly thought my home was clean before. They cleaned every nook and corner of my house! I've hired professionals to clean my home in the past and honestly had never been satisfied! They did not say "we don't do this, and we don't do that"! They literally "touched", cleaned everything in my home! I will definitely use them again and again! Reading reviews like that just make my day. Nothing I enjoy more than making other people happy with our cleaning services. Good thing we pride ourselves as being the premier cleaning company in Mobile, Alabama so the positive feedback comes often, and loud. Nurses touch cleaned all my carpet and ceramic tile.... did a great job. Professional, efficient and knowledgeable. My carpets look like new!!! Thank you so much!!! Nurses Touch did a great job on my carpet, rugs and upholstery. No one has ever been as detailed on their cleaning as Nurses Touch, they removed all our spots on the carpets. I would recommend them to anyone. We clean upholstery, too. Before you buy a new sofa or chair, why not give us a call and see what we can do? 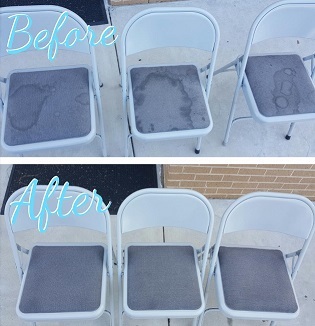 In mid-November we were honored by a call from a Catholic Church asking us to clean all 240 of their cloth, folding chairs. Job done, and job done well! We can clean your commercial furniture, as well as residential. Just had a chair cleaned. They did a wonderful job!! I already shared a testimonial with you about our power washing (it’s up there from Michell W.). If you’re thinking about selling your home (or it’s been more than a few years since you purchased it) a pressure washing will do wonders. 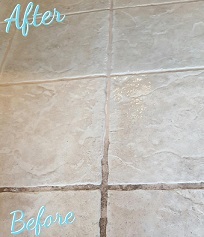 It makes your home look brand-new again. I know you’re detecting a theme, but that’s the goal! We make everything look brand-new again with our cleaning services. If you’re thinking about getting your deck re-stained, give us a call to pressure wash it first. The stain will hold much better and last longer with a good pressure washing before application. Green spots in the shady parts of your home? No problem, we’ll get that off! Call us today to find out more!